Comment: Replace existing clothes dryer venting duct. About 9 feet from dryer to outside wall in crawl space under house. Comment: I would like to get an estimate for need to have dryer exhaust vent tube relocated. Comment: Need to replace an old package unit on the roof of one story home. Comment: The heater will blow air but no heat. Comment: Residential dryer vent installation of approximately 8 feet from dryer to outdoors in crawl space. Comment: We have 2 Heating & A/C units. The one that services the larger area (about 2100 s/f) can't keep up with demand anymore. There isn't much force blowing out from the vents and at night cannot heat the area to 68 or 69 while running constantly. Either the blower/fan has a problem of we have ducting that is loose or needs repair or it's something else. Burbank Heating & Furnace Contractors are rated 4.73 out of 5 based on 3,278 reviews of 48 pros. 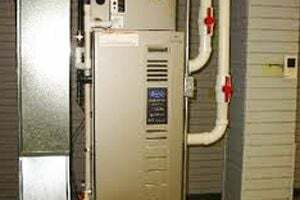 Not Looking for Heating & Furnace Systems Contractors in Burbank, CA?